We lift the cylinder head on Nissan’s CA18DET to find out what makes this popular engine tick. 1. When was it built? The CA18DET was first introduced back in 1985, this was nestled in the Nissan Auster “1.8Xtt” and “Euroform Twincam Turbo”. It was retired in 1994 after five years of service in Nissan’s (Europe) RS13 200SX. 2. What is the displacement? The CA18DET displaces 1809 Cubic Centimeters. 3. What is the engine configuration? The CA18DET uses an in-line four cylinder engine. 5. Is it turbo-charged? Yes. It uses a single Garrett T25 (.48A/R) turbo charger unit on a ‘T2’ flanged exhaust manifold. 7. What are the cylinder head features? The CA18DET features a DOHC aluminium cylinder head with 16 valves. The engine is fed from multi port fuel injection. 8. What is the stock power output? 176 PS @ 6,400 rpm. 9. What is the stock torque output? 166 lb @ 4,000 rpm. 10. What cars housed this engine? Nissan Silvia S12 RS-X, Nissan Silvia/180SX S13, Nissan Bluebird RNU12 SSS ATTESA Limited, Nissan 200SX RS13-U Europe, Nissan Auster. 11. How tuneable is the stock engine? Common knowledge within the CA18DET community is that the stock internals are happy to output up to 350 PS. This is only possible with the correct supporting modifications. Built engines have been recorded up to the 1000 PS mark. 12. What do engine tuners think of it? Engine tuners are favourable to the CA18DET, out of the box with the correct modifications it can be a powerful and reliable engine. The gearbox seems happy to hold the torque of a 350 PS build which is a nice bonus. 13. Does it have “cool” factor? In the UK S13 scene the CA18DET was always a little looked down on when compared to the SR20DET. The engine has a reputation for the bottom end to eat it’s big end bearings if not maintained correctly whereas the SR20DET has a reputation of being bulletproof. 14. How does it sound? It sounds throaty and aggressive for a turbocharged four cylinder engine. It sounds more ‘urgent’ on the limit then say an SR20DET. 15. Are replacement parts hard to source? Today (in 2017) replacement parts are becoming harder to find compared to a few years back however Enjuku Racing in the states, Nengun in Asia and JDM Garage in the UK all stock CA18DET parts. Watch this CA18DET Engine tuning compilation video and see what numbers these Nissan S13 owners are making at the dyno. Now here’s something you don’t see every day. A twin turbo CA18DET. Want to see how far the CA18DET can be pushed? Check out the bright yellow Dayda 200SX S13, it sounds fantastic on full throttle. Watch this video to see how a CA18DET equipped 200sx S13 copes with the challenges of the Nürburgring. 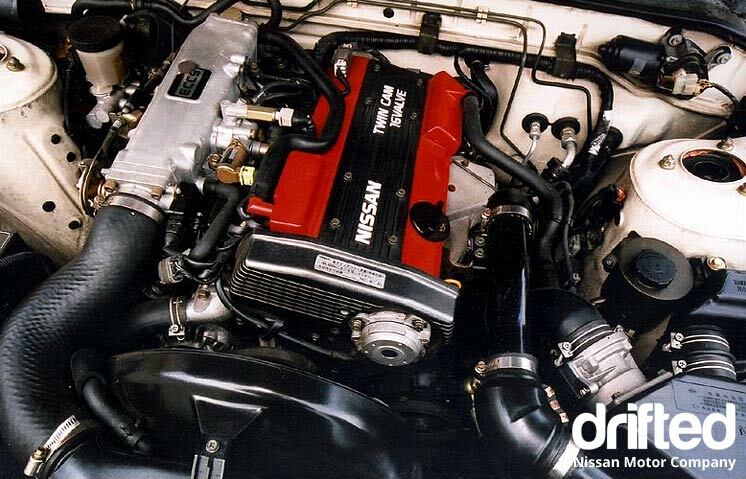 If you enjoyed reading about Nissan’s CA18DET then why not take a look at the specs of it’s older, six cylinder brother – the RB20DET?